My friend tends to give me bags of chocolates and sweets whenever she's pregnant as leftovers from her pregnancy cravings. 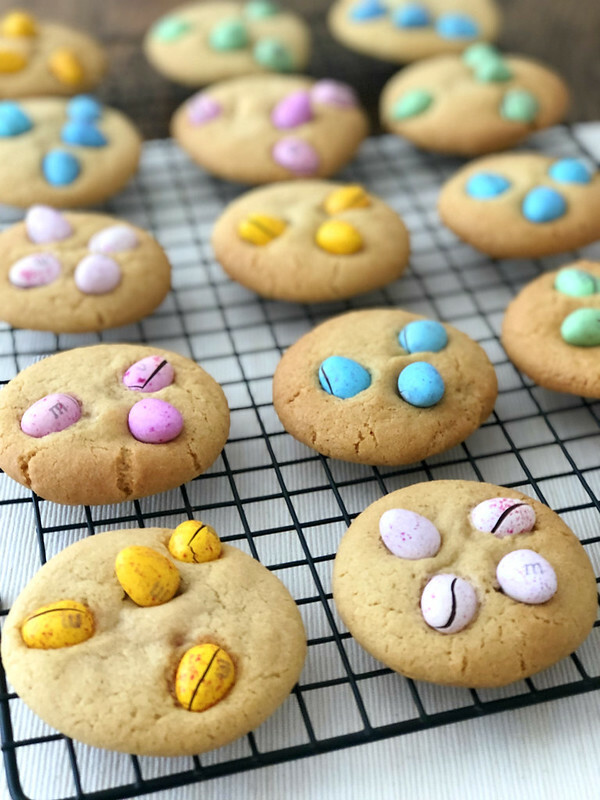 She gave me a bag of Easter M&M's and I knew instantly that I wanted to make Easter M&M cookies with them. 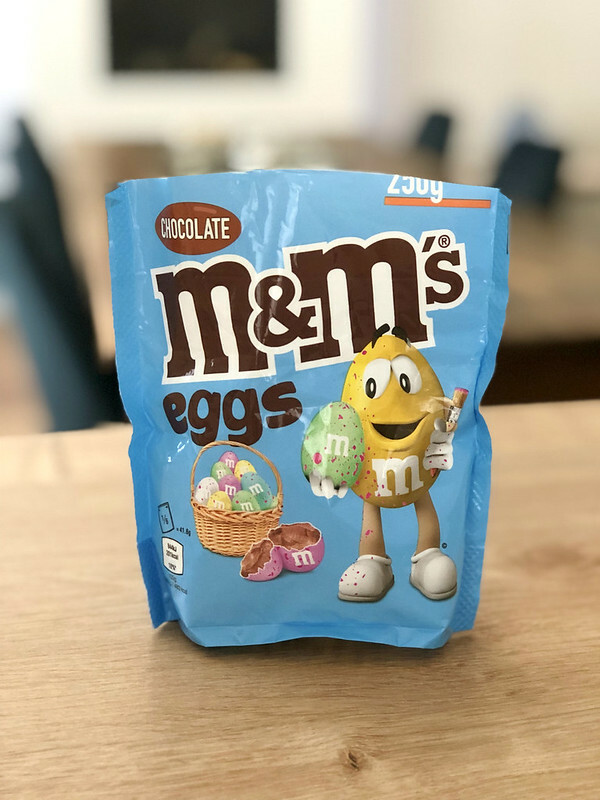 I've been wanting to make them for years, but it's hard to come by the Easter M&M's here in The Netherlands, and when you finally find them, they're wayyy expensive. 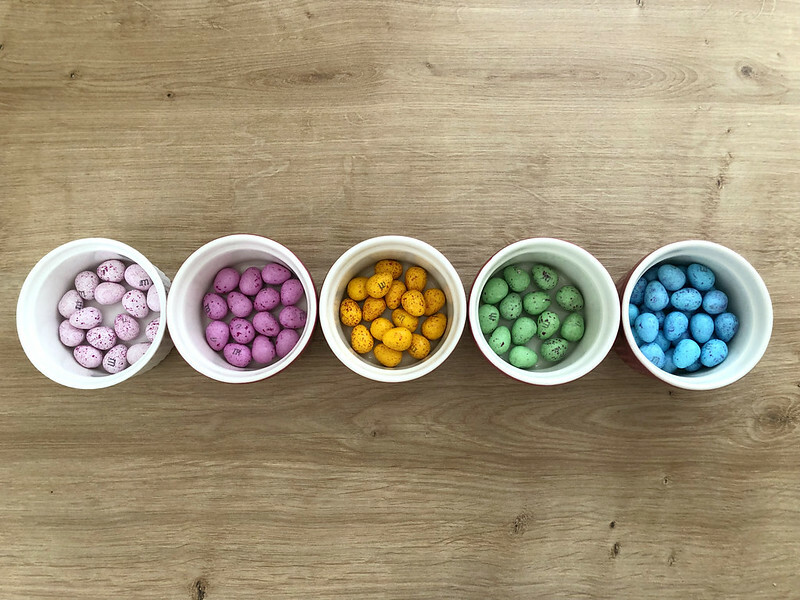 As a true baker, you look at Easter M&M's as an ingredient. Not a snack itself. 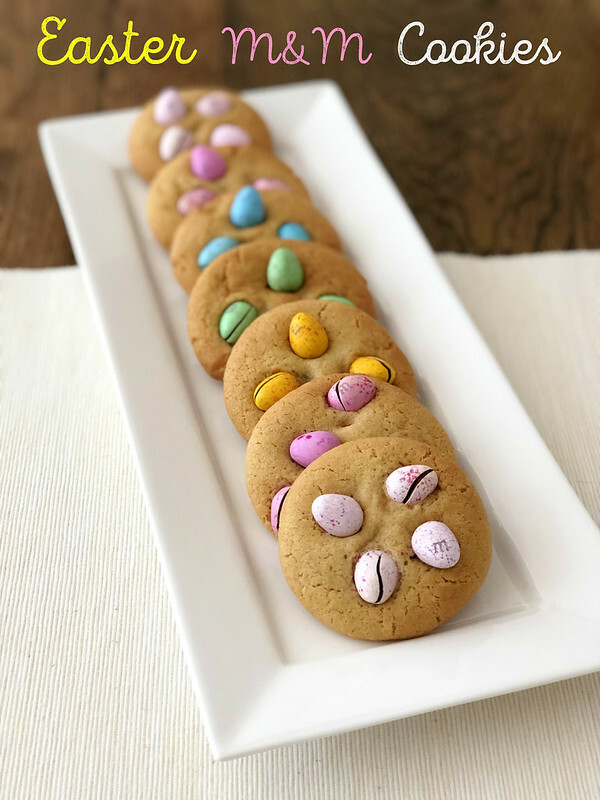 There are 5 colors of Easter M&M's and I divided them amongst the cookies, because I think it's look prettier. They're beautifully freckled with food coloring, resembling like a real Easter egg. 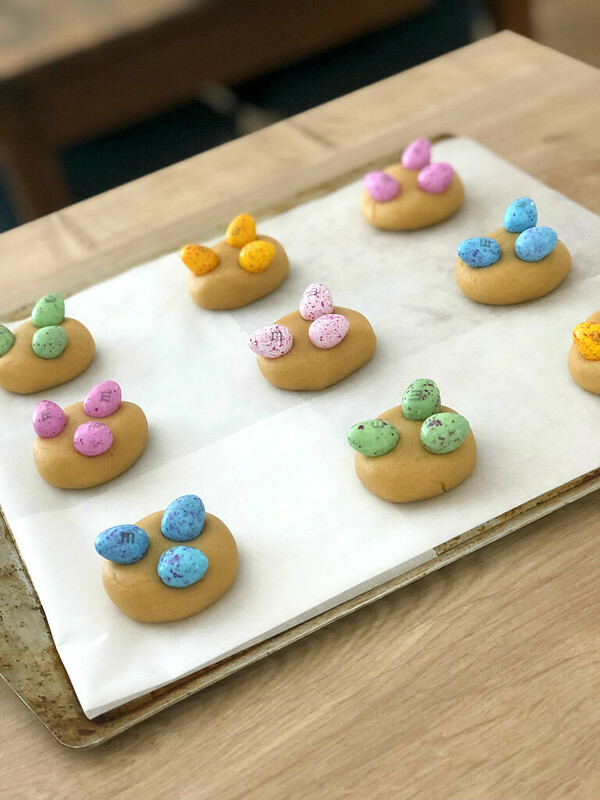 I'm not sure yet if I'm going to celebrate Easter this year, but I sure know that I want to bake! 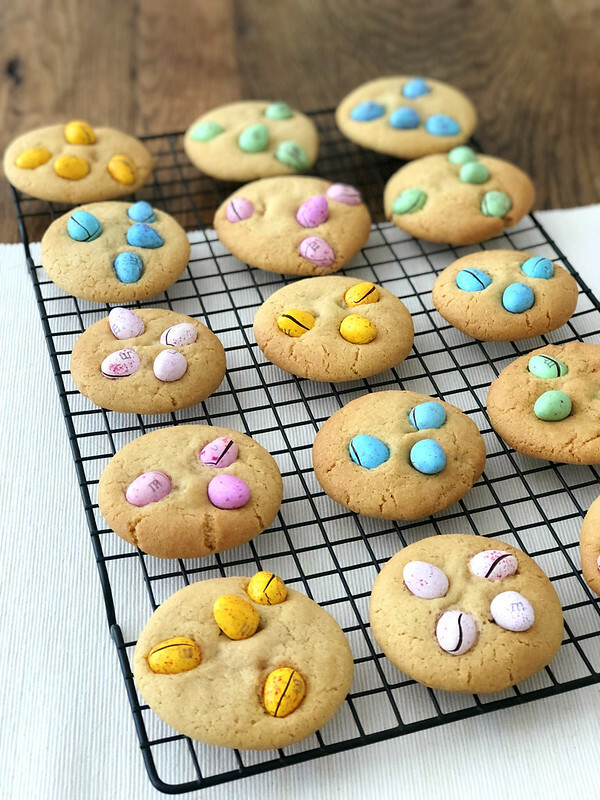 I used my go-to M&M cookie recipe from Magnolia Bakery. 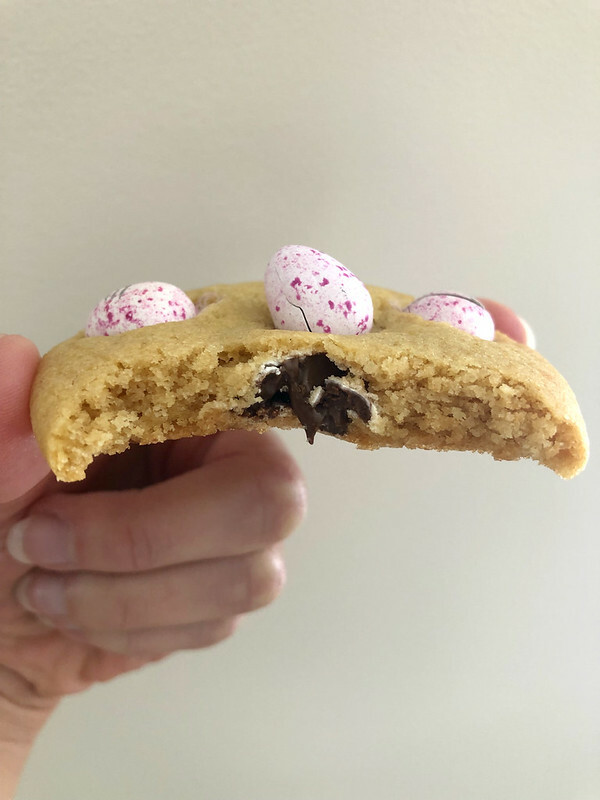 You can also make the vegan version, but the Easter M&M's are not vegan. This is the much-coveted Easter M&M bag. I put one M&M inside the dough. Then add 2 or 3 on top before baking, and add one more right after I take them out of the oven. - In a large bowl, combine the flour, the baking soda, and the salt. Set aside. - In a large bowl, cream the butter with the sugars until smooth, about 3 minutes. - Add the egg and the vanilla and mix well. Add the flour mixture and beat thoroughly. Stir in the chocolate chips. Drop rounded teaspoonfuls on to ungreased cookie sheets, leaving several inches between for expansion. Bake for 10-12 minutes or until lightly golden brown. - Cool the cookies on the sheets for 1 minute, then remove to a rack to cool completely. I especially love to eat these warm, because the chocolate eggs just melt on your tongue.